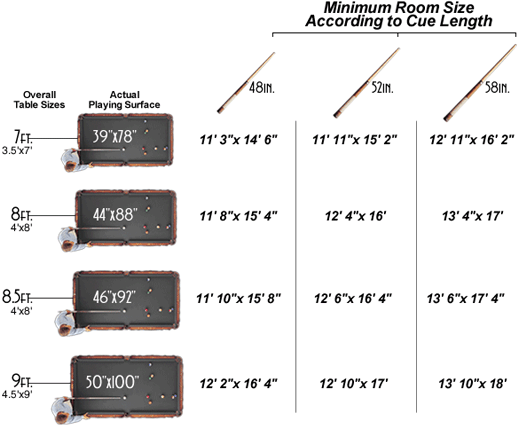 Get the right pool table size for your room. Our chart at the bottom of the page will assist you in determining the right sized pool table for your space. Today, 4' x 8' pool tables are the most popular tables in the home market. Seven foot tables are more traditionally found at taverns and bars and are sometimes refereed to as "bar boxes" these tables are more notably identified with coin mechanisms. Six foot tables are rare and will accommodate smaller spaces such as attics, bedrooms and basements. FYI, We carry a full line up of 6' pool tables in a variety of styles. 9' tables are traditionally seen in tournament play level and are rare as in home pool tables. 10 foot and 12 foot tables are rarer still and usually Snooker tables. 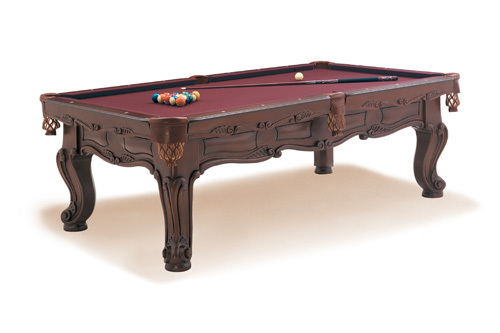 Diamondback Billiards carries the full line of Olhausen Pool Tables, Billiards Tables, Snooker Tables and Carom Tables. Below you find a fast and easy way to find the table you want by size. Virtually all of these pool tables come with multiple options to customize the table to your liking. Call our pool table experts at 480-792-1115 and get fitted to the perfect table size for you. Do you have a smaller room or perhaps need to have your table downstairs. Our 6 foot pool table sizes can squeeze in place other table just can not go. The play surface dimension is 36 by 72. With a three piece slate you can navigate stairs and small doorways and be able to install almost anywhere. With a smaller foot print you can also accommodate a smaller room as well. Use a 52" stick to squeeze by with even less space. Call our experts to go over room size and what we can create just for your and your 6' table space needs. Did you know you may have been playing on a 7 foot table for years without realizing it. Many game rooms, taverns, bars and pool halls use coin operated 7 foot pool tables. Many of us grew up playing these quarter pool tables. Look no farther if you a sure shot and seven foot pool table we have 40 different styles to choose from. The most sought after pool table. The 8 foot pool table is available in most all version of pool tables produced today and in all colors. 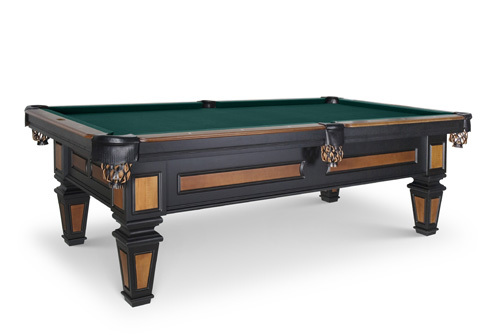 Diamondback billiards offers over 100 versions of the eight dimensional pool table. Call us today and find out how we can help you find the best pool table for you.